Here’s a post about one of our favourite pastimes these days. About 2 months ago, we started having weekly “poet-tea” sessions. The intention was simply to have time to read and appreciate poetry together, something we have increasing forgotten to do in the rush to complete our work assignments everyday. And it has become a time the children really look forward to every week. Our children LOVE poetry. They read it, they memorise it, they recite it unbidden, they do copywork from it, and they love it. We have been reading poetry to them since they were young. Not just the nursery rhyme sort, though that too. I myself have always enjoyed poetry, though I have to say that having to “study” it in literature robbed me of some of that joy. So we don’t do any “teaching” from poetry. I want our children to simply enjoy it. 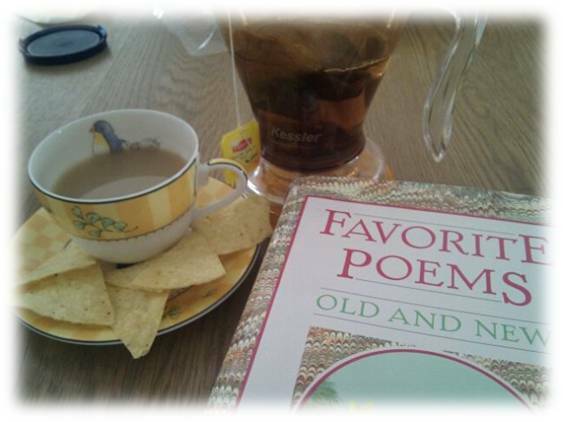 Poet-tea essentials – A good book of poetry, and a fine cup of tea! There are many things about poetry which you don’t always get in prose. Rhyme, rhythm, appreciation of the “melody” of the English language, and extensive vocabularly. You see, with the limitations imposed in a poem – needing to complete a thought in a definite number of syllables, having to find something which rhymes with something else – the poet uses the language in a way the prose writer does not. So poetry is a necessary complement to reading prose. Also for the young child, poems which rhyme are easy to commit to memory, and that helps in language acquisition and retention. And memorising poetry is a joy and beneficial at any age. When asked to pick something to perform at our homeschool group’s school year-end concert in June, all our children asked to recite poetry, and Alethea and Timothy did one together from Joyful Noise: Poetry for Two Voices (which btw is a really delightful collection). Our poetry books. I thought this was all, but after I took the photo, I discovered more! I get asked this a lot. I think it is because many of us have been “scarred” by our literature teachers who made reading poetry a bit of a chore. The reality is much simpler. Pick up a book of poetry, find a poem (or just read them in sequence), and just read! You don’t have to expound on it. You don’t have to look up definitions (unless you really want to). You don’t even have to pretend to LIKE all of them. Or understand them all for that matter. There are many times when I will look up after reading a poem, and find all the children staring blankly at me. I’ll shrug, say I didn’t understand it either, then we’ll pick another poem to read. Just move on. You don’t have to read many poems. We used to read a poem a day from a predetermined selection. One selection for each child. If the kids liked it, we would read it again. And again if they asked. It took us no more than 5 to 10 mins to get through the various readings for all three children. 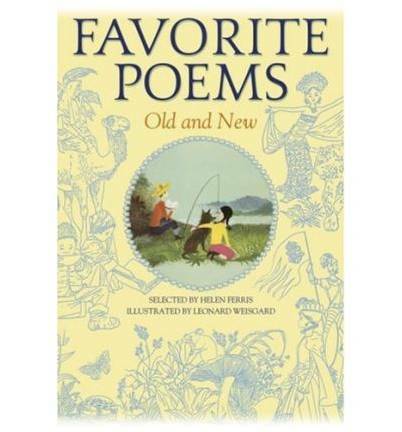 Favorite Poems Old and New selected by Helen Farris – if you only own one poetry book, this has to be it! No coloured pictures though. 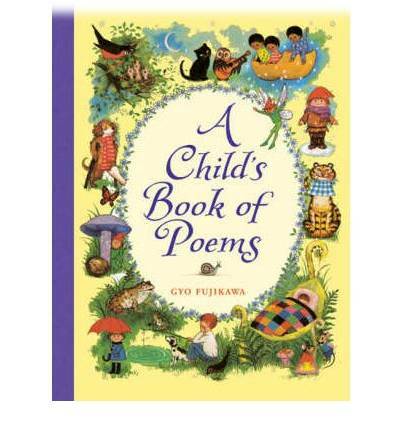 A Child’s Book of Poems illustrated by Gyo Fujikawa – this is a fabulous value-for-money volume. Under 10 US dollars and in hardcover, this is a collection of wonderful and famous classic poems. 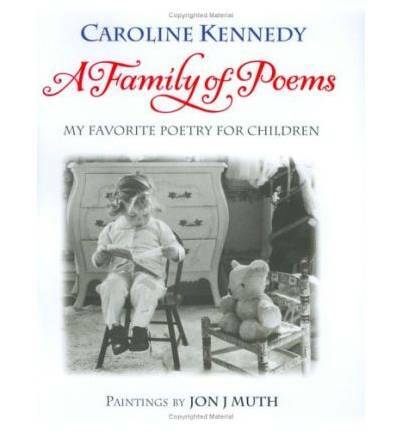 A Family of Poems selected by Caroline Kennedy (yes THAT Kennedy) – another collection of classic poems, but this one is beautifully illustrated by Jon J. Muth. If you feel you need some guidance with definitions of key words and some biographic background on the poets, you will certainly want to check out the Poetry for Young People collections by Sterling Publishing. We have a few of their collections by poet – featuring 30 poems (I assume more famous) poems by each poet. 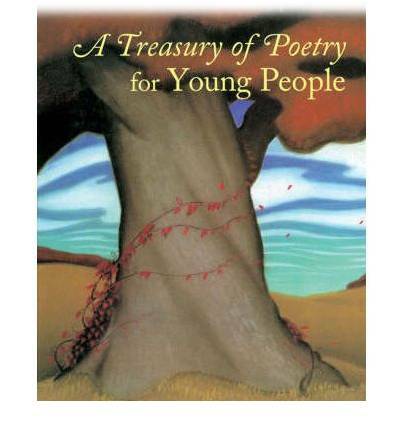 They have a 200+ page collection featuring a number of poets which seems like a good buy, but which I don’t (yet) own: A Treasury of Poetry for Young People selected by Frances Schoonmaker, et al. Another way to read poetry is by poet. This is the method favoured by Charlotte Mason practitioners, so that the child has a deeper appreciation for poems by particular poets. 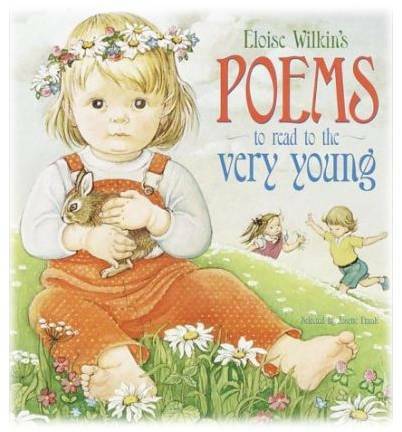 If this appeals to you, good poets to start with are Robert Louis Stevenson (A Child’s Garden of Verses), Emily Dickenson, A.A. Milne (of Winnie-the-Pooh fame), etc. If you go to www.amblesideonline.org, you will find recommendations of poets and poems for the various years of study. All for free! This way too you will not have to try to figure out yourself when it will be appropriate to introduce what. Back to our Poet-Tea sessions. Here’s what we do. We wait till Daniel has gone for his nap 🙂 … then we bring out our good Narumi china teacups which we reserve for just this tea session. We put sugar cubes in a bowl and milk in a jug. We make REAL tea. Yes, with all that caffine! We bring out chips and dip, or maple cookies, or something fancier than the usual afternoon snack. 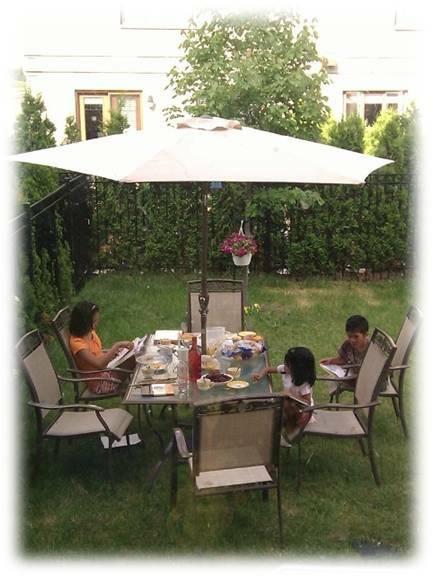 One evening, after our tea session was over, I left the kids to come back into the house to prepare dinner. But to my delight, the kids stayed outside and continued reading to each other! 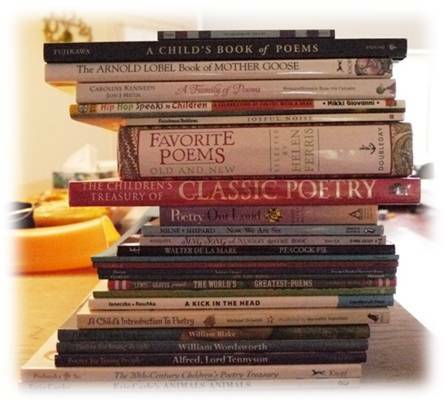 We each bring a poetry book to the table (the kids pick their own. I am reading through Favorite Poems Old and New for now) and we take turns reading poems to each other. Some times we all fall silent while we read ahead in search of another poem to read. And some times we all find a poem at the same time and we fight for a chance to read ours first. But all in all, we have a great time reading, sharing, laughing. Is it any wonder everyone looks forward to Poet-Tea? Thanks , Angie, for sharing. I am grateful to your sharing over the years, particularly of all the good recommendations on books, curriculum, things your family used or did. All these have been very helpful and saves me time in my research, particularly in our homeschooling. Thanks very much. Hi Angie, you’re as inspiring as ever. Thanks for the recommendations! Wonderful post – I have been very inconsistent with our poetry readings, reminded me to kick-start this again. Thanks for sharing! I like the poet-tea idea! One of the things I did for a time was to have my kids create their own poetry and we would stick their “verses” on our own “Poet-Tree”.It was a lot of fun! Hi I came across your blog because I did a search for Poet Tea’s…I’m creating a new line of herbal tea’s named after my favorite poets! Thank you for teaching children the beauty of poetry! My team and I are a group of undergraduate students from NUS (National University of Singapore), and are currently reading an Education module under Sociology. We’re doing a study on alternative forms of education such as homeschooling to find out why families do not wish to send their children to school. We feel that your experience and information as a homeschooling mother will be invaluable to our study. We were wondering if you could, at your convenience, conduct a 30-45 minutes face to face interview with us. However, I understand that you might be extremely busy and if so, we would greatly appreciate an email interview as well. Thank you and we are looking forward to your reply!